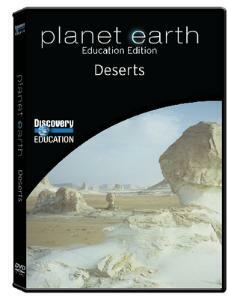 Voyage to the world's harshest environments and learn how life manages to keep a precarious hold in every desert. From the frigid expanses of Mongolia to the blistering craters of California's Death Valley, the program examines the incredible physical and behavioral adaptations that allow creatures to survive in unimaginable conditions governed by sand storms, droughts, flash floods, and extreme temperatures. Running time: 42 minutes. Available to U.S. Customers Only.